Blog » Company Awards » Gifts For Client Referrals – Nothing But Classy Here! There is no advertising ploy or marketing campaign that can compete with the value of a client referral. Potential clients will always respond better to a friend, neighbor or colleague recommending a business, and an in-person referral means so much more than an anonymous online one. To encourage your loyal clients to continue giving referrals, be sure to take the time to thank them personally. A direct conversation or even a discount on services or products is a great place to start, but an extra something can really go a long way in making clients feel appreciated. Here are some fantastic gift ideas with a personal touch that can help keep the positive referrals coming in from your best clients. Many businesses are concerned with any perception of impropriety; so they keep their referral gifts relatively inexpensive. Similarly, your company might have a limited budget and a lot of clients to thank, so choosing an affordable but still practical gift is a great choice. One of the most universally appreciated gifts is the humble coffee mug. Virtually everyone has a use for a mug, and it is likely something that will get used on a regular basis in an office. I’d suggest the colorful ceramic coffee mugs if you’re in the market for a gift that will do double duty for your business. They serve as advertising and a reminder of your company to the user and all around them while they also make a thoughtful gift. If you want to thank the entire office of a particular company for a lot of referrals, then a gift that can be shared may be your best choice. Unfortunately, many traditional referrals gifts aren’t meant to be shared, and those typical sharing gifts like drinks or snacks get consumed and then forgotten about quickly. I’ve had companies who solved this issue with an engraved tea box. This can go in the break room or lunch area, and it looks sleek and attractive. If you fill it with a variety of specialty tea bags, employees can easily select their favorite flavor for a morning or afternoon treat. As your clients enjoy this gift they will also be reminded of your business since your name and logo is engraved on the top, and hopefully they will continue to send those referrals your way. Wine is a popular gift for loyal clients, but you can kick it up a notch and present clients with a personalized wine bottle instead. 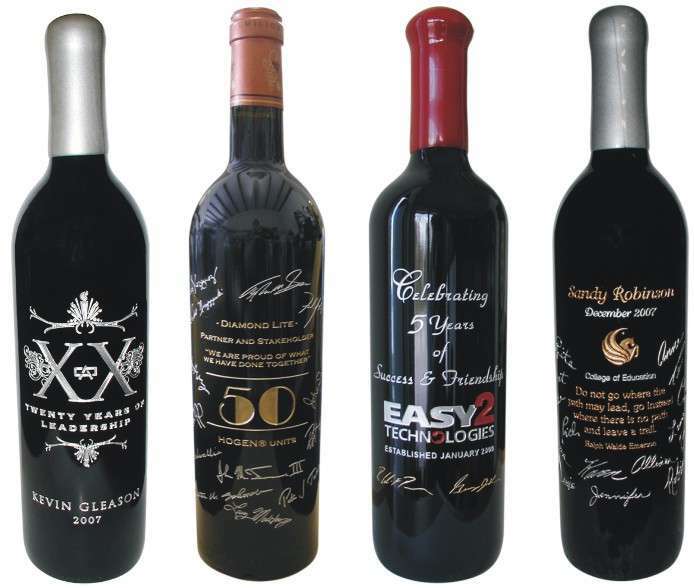 You can choose virtually any phrase, word, numbers or logo to have deep engraved or even hand painted onto a high-quality wine bottle. Long after a normal bottle of wine has been drunk and forgotten about, this unique gift will take a position of pride in the office. Each year you might have one or two truly loyal clients that send a staggering number of referrals your way. For these special individuals or businesses, you should consider a gift that really speaks your appreciation. An engraved cherry plaque can highlight to the recipient just how important their value is to your company. You can customize the cherry plaque with the name of your company, the name of their business, the years that you have been working together or anything else that will make the item a keepsake to be displayed on the walls of an office reception. 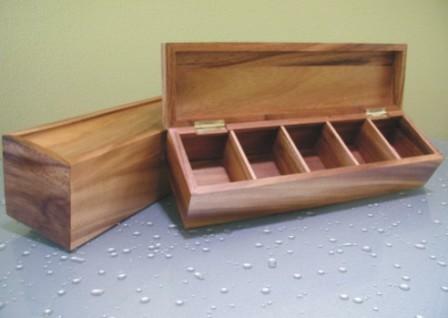 We have clients who’ve been showing their appreciation for the referrals for years with these and other special gifts. We’ve been helping clients say thank you for many years with our high-quality engraving. 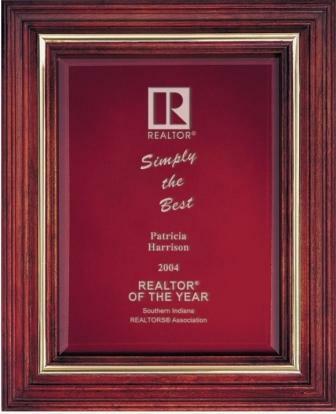 Browse through our selection of gifts – both affordable and classy – to show your appreciation to your client referrals. Call us or come by the shop to look around.